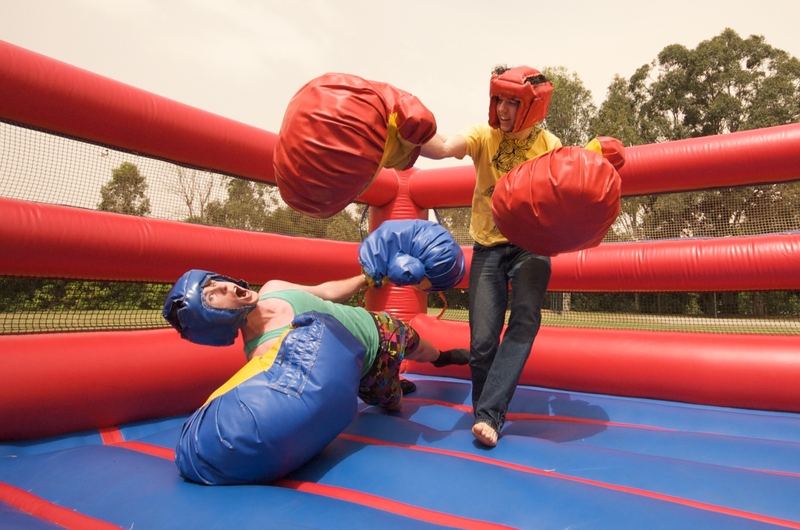 Seek revenge and get away with it. 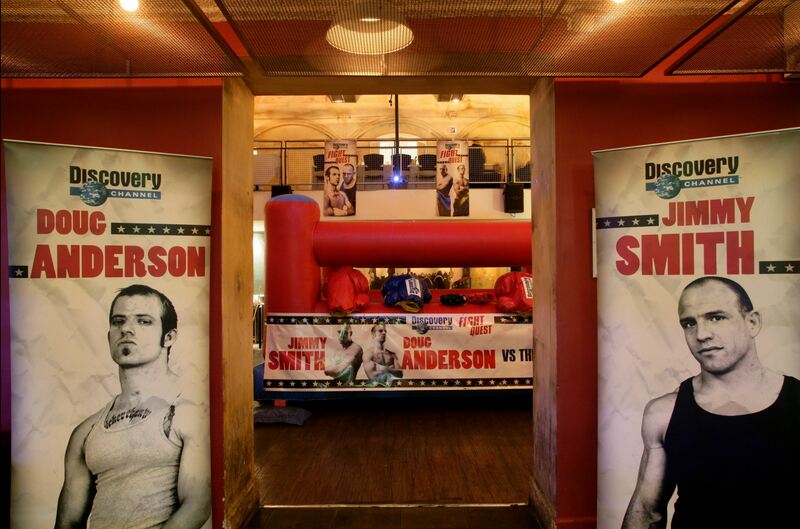 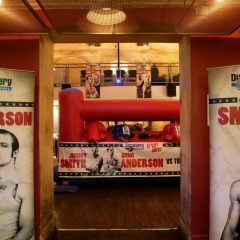 Want to float like a butterfly and sting like a bee, then what about a boxing-themed party at a really low fee? 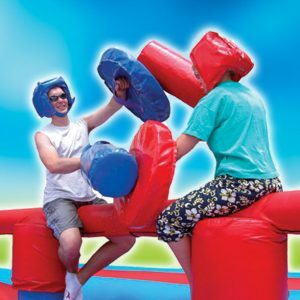 If you’ve been looking for a way to sock it to your friends, co-workers (especially the boss), then Big Fun has the answer for you. 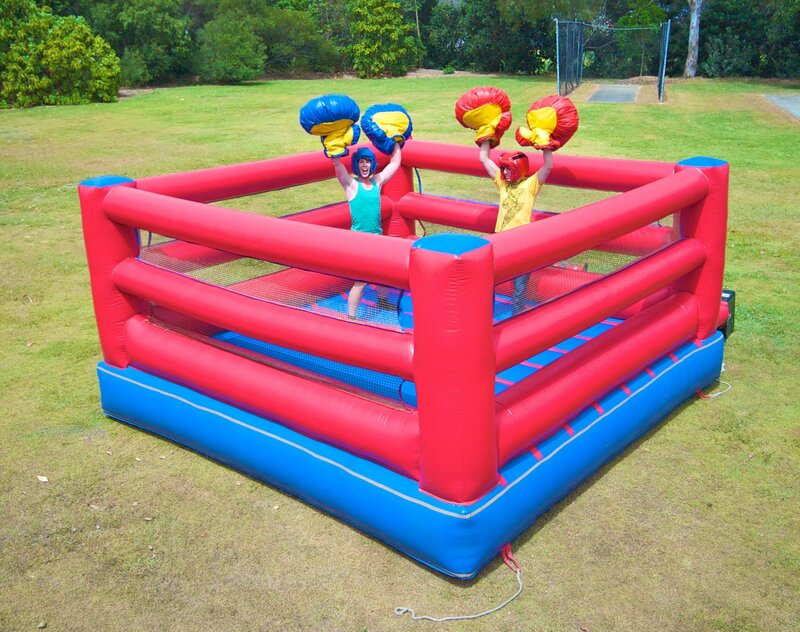 An inflatable boxing ring with foam boxing gloves are the perfect thing for your office or birthday parties. 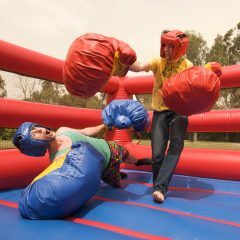 So if you want to rock ‘em sock ‘em with the ol’ one-two, rent yourself a boxing party with Big Fun today! 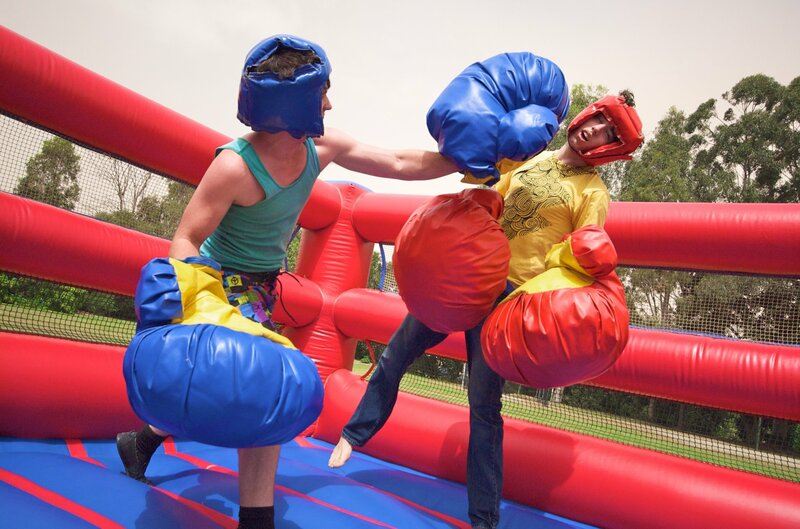 When you get in the ring, there’s just something so satisfying about bopping someone on the head with a well-timed jab. 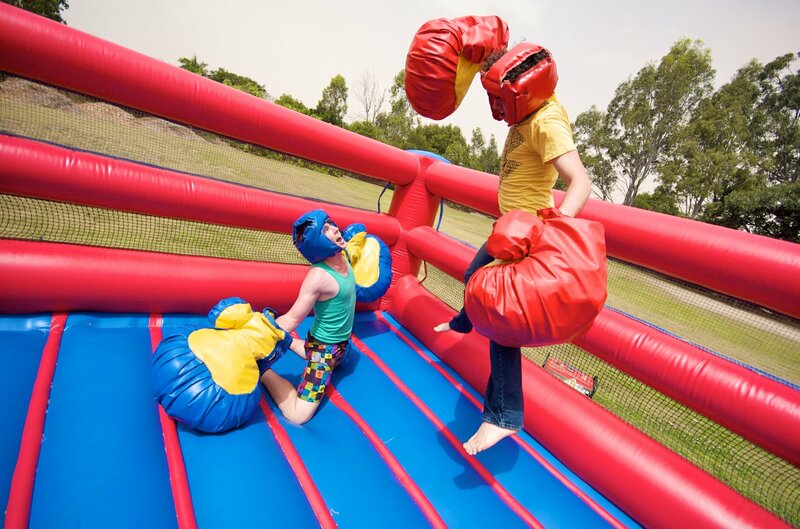 Thankfully, our foam boxing gloves won’t do any damage, so when you’re jumping on our inflatable boxing ring you can get out all your spare energy without suffering a single bruise. 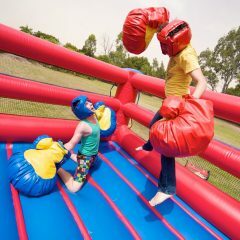 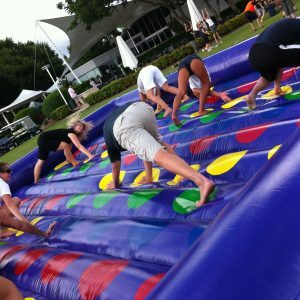 So if you want to have a great Christmas party then hire an inflatable boxing ring from Big fun today! 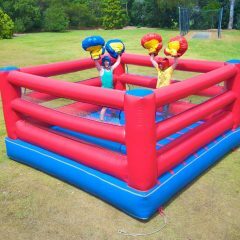 Safest boxing ring in town. 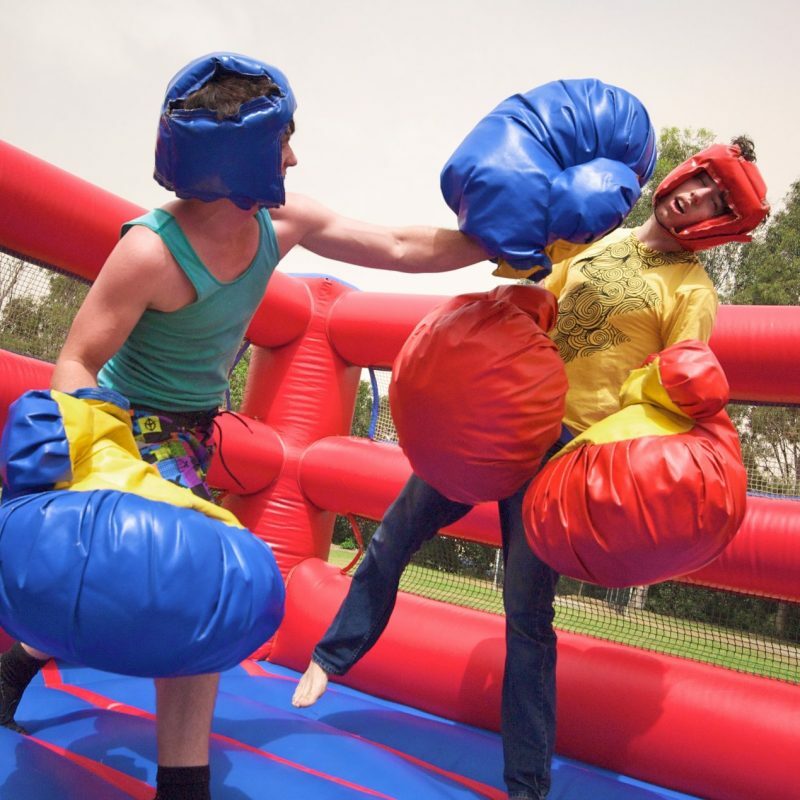 From the gloves to the headgear, all of our equipment is checked regularly so that no one comes away with a sore experience from our classic attractions. 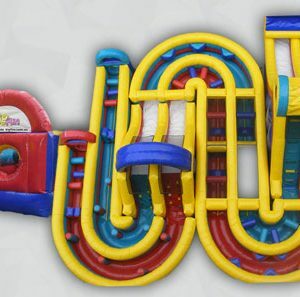 Available for supervised or unsupervised overnight/DIY hire. 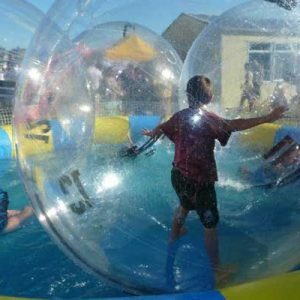 The most fun that you can have on the water is with Big Fun’s new water ball attraction!